These bags are a very pretty and sturdy. The handle is a little weak so use something light weight. 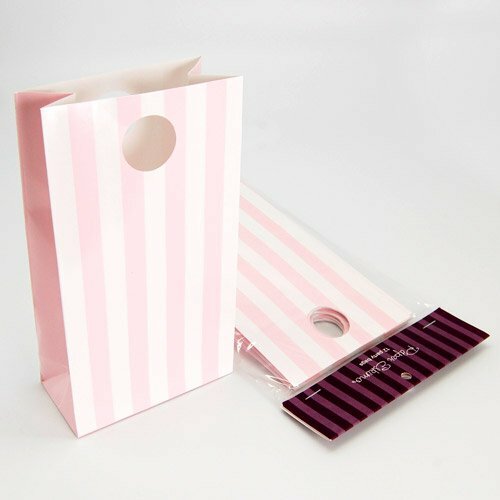 Don't forget to say thank you to your baby shower guests with these delightful striped, glossy party bags. These colorful bags have die-cut circle handles and can be filled with treats and treasures that make your baby shower even more memorable. Try filling your party bags with these personalized baby shower Hershey's Kisses and giving your guests personalized baby shower cupcake mix so they can continue the fun at home.